Private tours of Romania include the beautiful capital of Bucharest, the medieval town of Brasov, and Dracula’s castle in Bran. 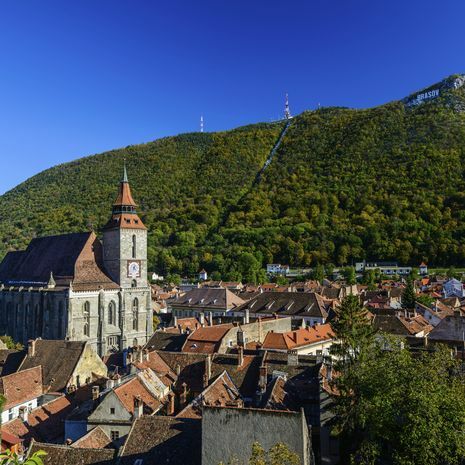 Travellers can also go off the beaten track to discover western Romania, Transylvania and the Carpathian regions – see the Unesco world heritage site of the Hurezi Monastery, the medieval settlement of Sighisoara and Corvin Castle, the largest in Eastern Europe. For a unique experience, travel along the Transalpina road – the highest in Romania – and choose to stay in one of the two Prince of Wales’ properties in the village of Viscri and Zalanpatak. All tours below are suggested itineraries, and can be taken as is or amended to suit your needs. Please contact us to amend an itinerary or tailor-make your own with a Cox & Kings expert.